The planned fourth test of Agni-V will seek to validate the canister launch system as well as the missile’s performance - enabling a state of readiness. As a mature nuclear power, it behooves India to be a little clearer as to its current nuclear status, and in the meantime, it is hoped that India pursues its missile testing programme as aggressively as possible. The long awaited fourth test of India’s Agni-V missile will mark a major milestone in the development of India’s Credible Minimum Deterrent posture (CMD). Expected in late 2015 or early to mid-2016, this test has been delayed for a number of reasons, technical and political. Now reportedly scheduled for either the last week of December (the 26th being mentioned as a possible launch date) or early January 2017, it is to be hoped that nothing prevents the test from being conducted and that it is successful when it finally does take place. It is pertinent for readers to appreciate the quite dramatic shift that the eventual deployment of the Agni-V will mark in the evolution of the Indian nuclear arsenal. While the first two launches of the Agni-V – on 19 April 2012 and 15 September 2013 respectively – were of the standard Indian uncanisterised missile, following the patter set with the Agni variants I through IV, the last test on 31 January 2015 was of a canisterised system mounted on a road mobile platform. The planned fourth test will seek to validate the canister launch system as well as the missile’s performance. 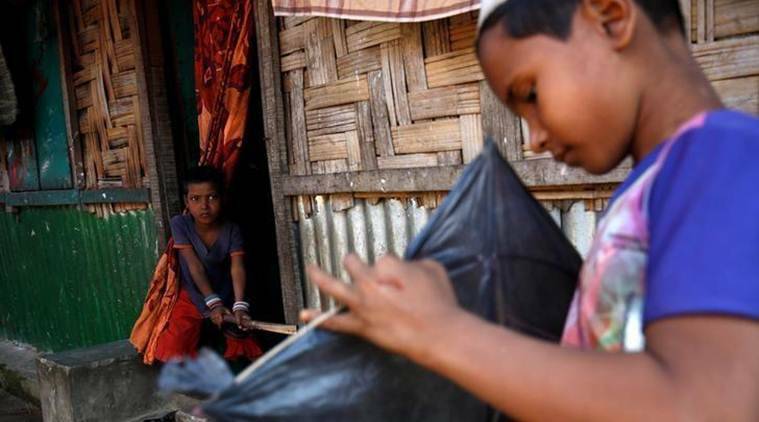 While all regions welcomed the move, opposition grew in Assam — on the premise that Hindus from Bangladesh who came thus would obliterate the culture of local indigenous communities. Home Minister Rajnath Singh introduced the Citizenship (Amendment) Bill 2016 in Parliament in July this year; it seeks to give citizenship by naturalisation to immigrants from Pakistan, Bangladesh and Afghanistan belonging to the Hindu, Sikh, Buddhist, Jain, Parsi and Cimmihristian communities, facing religious persecution and coming to India before December 31, 2014. Such people would be living illegally in the current context of the provisions of the Passport (Entry into India) Act 1920 and the Foreigners Act 1946. However, while all regions welcomed the move, opposition grew in Assam — on the premise that Hindus from Bangladesh who came thus would obliterate the culture of local indigenous communities. Many of these protests smack of vested interests which have always derailed peace in the state. Several political entities, activists and perennial “student leaders” have been blowing the issue out of context, trying to mislead the public on the applicability of the bill and its actual impact. This is what happens when you chop a nation in half. Before December 3, 1971, Pakistan was a country suffering from a split personality disorder. 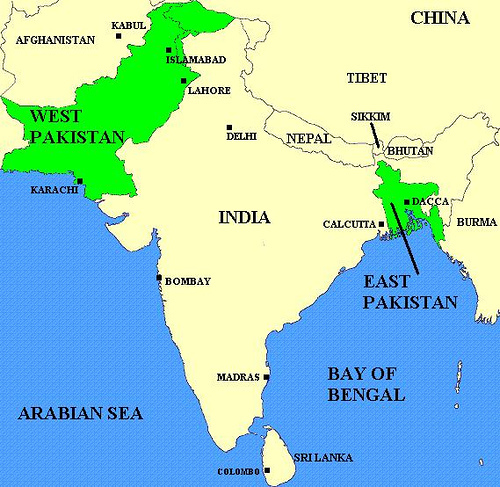 When British India became independent in 1947, the country was divided into Hindu India and Muslim Pakistan. The problem was that East Pakistan and West Pakistan were almost a thousand miles apart, and wedged in between them was archenemy India. Imagine if the United States only consisted of the East Coast and West Coast, and Russia controlled all of North America in between. Defence Minister Manohar Parrikar said on Friday that he will soon name the next Indian Army and Indian Air Force chiefs. He was speaking after paying tributes at the Amar Jawan Jyoti here on Vijay Diwas or Victory Day that is observed on 16 December to mark the military triumph over Pakistan in 1971 which led to the creation of Bangladesh. Delay in announcing the new chiefs has not only sparked a controversy, but has also left analysts and experts speculating on the possibility of appointment of a tri-service commander. Now, with Parrikar saying that the new air force and army chiefs will be announced soon, it seems that the plan is not in pipeline. However, the possibility can’t be ruled out altogether as army and air chiefs will be required even if a tri-service commander is appointed. Prime Minister Narendra Modi and the Defence Minister have both earlier pledged to appoint a tri-service chief. Sources informed IANS that the Eastern Army Commander, Lt Gen Praveen Bakshi; the Southern Army Commander, Lt Gen P M Hariz and the army vice chief, Lt Gen Bipin Rawat are in the fray to succeed Gen Dalbir Singh. Air Marshal Birender Singh Dhanoa, a Kargil war veteran, and the Indian Air Force vice chief is in the fray for the top job. 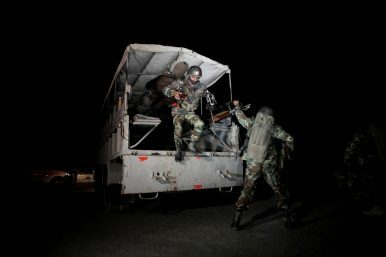 Is India playing the Tibet card? It might not have any interest in Tibet per se but it does have useful deterrence value vis-a-vis China. The recent visit of the 17th Karmapa Lama to Arunachal Pradesh, and India's support to Mongolia, which is facing Chinese ire over the Dalai Lama's visit, has once again put the spotlight on India's Tibet card. Interestingly, the Karmapa was allowed into Tawang after the present government revoked an earlier decision by the Cabinet Committee on Security prohibiting him from travelling within and outside India (he was for long suspected to be a Chinese mole after he landed in India from Tibet in 2000). The Karmapa's visit followed US envoy Richard Verma's tour to Tawang (which an infuriated China called 'interference') and New Delhi's nod to the Dalai Lama's visit in March 2017, which too raised eyebrows in Beijing. Interestingly, China did not react sharply to the Karmapa's Tawang visit, possibly because he is not considered a 'splitist' like the Dalai Lama. The China-Pakistan Economic Corridor (CPEC) traverses some of the world’s most dangerous terrain. According to the 2016 Global Terrorism Index, Pakistan is among the countries most impacted by terrorism. Within Pakistan, terrorist attacks are concentrated in Khyber Pakhtunkhwa, Baluchistan, and Federally Administered Tribal Areas (FATA), where combined casualties account for 76% of the national toll. 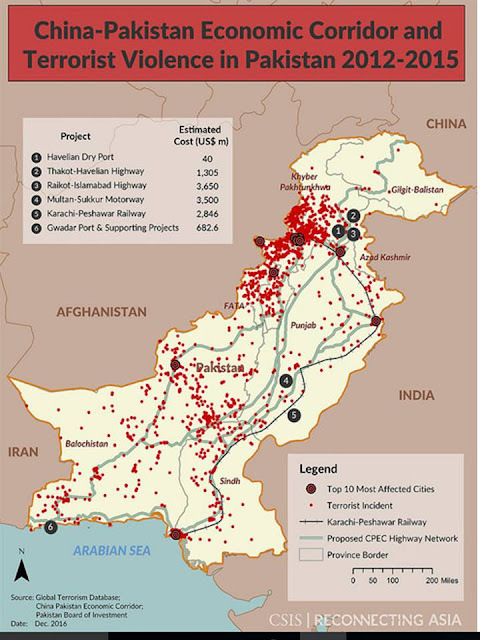 CPEC’s western route passes through the heart of this unrest, with three out of its four sub-corridors running through the hotspots illustrated above. Since 2010, terrorist incidents and causalities have declined in Pakistan. But insecurity and the drivers behind this violence remain major risks for CPEC’s ambitious projects. Eun Kyung DuBois is a researcher with the Reconnecting Asia Project at the Center for Strategic and International Studies. A poll conducted by YouGov shows that sentiment among Republicans toward Russian President Vladimir Putin has become significantly more positive (or at least significantly less negative) than it was just a couple of years ago. This sort of finding is easily subject to over-interpretation, in terms of grand realignments or sweeping transnational movements or the like. The truer explanation is much simpler than that, although the explanation operates slightly differently at different levels. The primary level, and the one that most accounts for the polling result, is that people are following cues from the leadership of the party with which they identify. This pattern arises repeatedly on many different issues, domestic at least as much as foreign. The transmission of sentiment from leader to followers often occurs without any connection to more careful consideration of the relevant issues or even to ideological tenets traditionally associated with one or another party. It is essentially a tribal phenomenon; members of the tribe conform with a collective belief system, as defined by tribal leaders. Notwithstanding divisions of views within the Republican Party over postures toward Russia, Donald Trump is now the leader of the party. The cues most followers of the party are taking come from him or his appointees. The trend in emerging rifts between a number of formerly U.S.-centric East Asian states and the Obama administration had been visible, under the radar, for several years. However, in the last few weeks and months before the American elections, there was an eruption of anti-American sentiment, principally from the increasingly populist-oriented democracies of Southeast Asia. Xiaomi, the six-year-old Chinese mobile phone maker, recently announced the launch of its mobile payment service, Mi Pay, developed in consortium with Chinese banking network Union Pay. Users of the service, which was first unveiled in April, can simply link their bank and transportation cards with the Mi Wallet app and make a payment by placing the phone near the sensor of a “QuickPass” marked point of sale (POS) machine. The system can work without an internet connection and the verification procedure only entails inputting fingerprints. So far, Mi Pay supports bank cards from up to 20 banks and transportation cards in six cities. Essentially predicated on electromagnetic Near Field Communication (NFC) technology, this service currently only works on the Mi5, the flagship device for China’s leading smartphone producer. If the phone is accidentally lost, users can cancel the Mi Pay service on Xiaomi’s official website and trace the phone through Xiaomi’s cloud service. “We believe that Mi Pay will be a key driving force in promoting the development of China’s mobile payments industry, and deliver much more convenience to our users,” said Lei Jun, the founder and CEO of Xiaomi, in the announcement. According to e-Marketer, a research company, the number of people in China using mobile payments at the POS more than doubled in 2015. In 2016, that figure is expected to shoot up to 195.3 million people, well above the United States, which will have only 37.5 million mobile payment users. Analysts at e-Marketer attribute the gap to China’s less deeply entrenched credit card culture, the willingness of users to store payment information in their phones, and the high comfort level of e-commerce. GROZNY, Dresden, Guernica: some cities have made history by being destroyed. Aleppo, once Syria’s largest metropolis, will soon join their ranks. Its 1,000-year-old Muslim heritage has turned to dust; Russian aircraft have targeted its hospitals and schools; its citizens have been shelled, bombed, starved and gassed (see article). Nobody knows how many of the tens of thousands who remain in the last Sunni Arab enclave will die crammed inside the ruins where they are sheltering. But even if they receive the safe passage they have been promised, their four-year ordeal in Aleppo has blown apart the principle that innocent people should be spared the worst ravages of war. Instead, a nasty, brutish reality has taken hold—and it threatens a more dangerous and unstable world. To gauge the depth of Aleppo’s tragedy, remember that the first protests against Syria’s president, Bashar al-Assad, in 2011 saw Sunnis marching cheerfully alongside Shias, Christians and Kurds. From the start, with extensive help from Iran, Mr Assad set out to destroy the scope for peaceful resistance by using violence to radicalise his people. Early on, his claim that all rebels were “terrorists” was outrageous. Today some are. There were turning-points when the West might have stepped in—by establishing a no-fly zone, say; or a haven where civilians could shelter; or even a full-scale programme of arming the rebels. But, paralysed by the legacy of Iraq and Afghanistan, the West held back. As the fighting became entrenched, the need to intervene grew, month by bloody month. But the risk and complexity of intervening grew faster. As Mr Assad was about to topple, Russia joined the fray, acting without conscience and to devastating effect. Aleppo’s fall is proof that Mr Assad has prevailed and of Iran’s influence. But the real victory belongs to Russia, which once again counts in the Middle East. Are We In a New Era of Espionage? One scholar compares it to the early Atomic Age, when members of Congress struggled to understand how nuclear weapons were changing diplomacy and war. 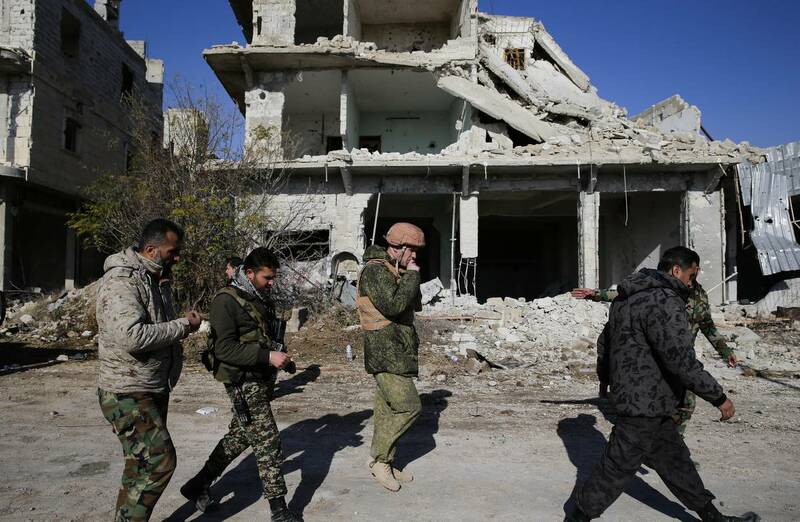 MOSCOW-Russian special-operations forces have played a pivotal part in the Syrian ground offensive to retake Aleppo, a role shielded by secrecy about their operations there. In the wake of Russia’s punishing aerial bombardment, Russian special forces have been operating in Aleppo for almost two months, helping the Syrian army with a focus on targeting rebel leaders in the eastern half of the city, according to two experts on Russia’s military. On Sunday, the weekly state news program Vesti Nedeli offered a rare glimpse of Russians in combat, airing footage of Russian special operators in Syria. “Russian special forces have been in Aleppo for a number of weeks, where they’ve taken on a combat role,” said Ruslan Pukhov, the head of Moscow-based defense think tank CAST. As President-elect Donald Trump establishes his national-security team and delves into major foreign-policy issues, it is clear that he begins with a dim viewof what intelligence can offer. Like many presidents-elect without previous national-level government experience, he does not know what to expect from intelligence. It behooves the Intelligence Community to educate him on this, and the Congress to monitor closely the use that the new administration makes of intelligence. Trump and his closest advisers have now demonstrated disinterest in the usual pre-inauguration intelligence briefings and outright disdain for intelligence findings. He has not met with the current director of national intelligence, nor has he yet appointed one of his own. He has selected as his national security advisor Michael Flynn, who reputedly had major disagreements with the DNI and other officials in the Intelligence Community and was ousted from his position as director of the Defense Intelligence Agency because of management problems. Flynn has shown a propensity for pushing his own beliefs on matters such as political Islam without basing those beliefs on fact. Reportedly, when director of DIA, he pushed analysts to come up with evidence (of which there was none) that Iran was involved in the attack on the U.S. diplomatic compound in Benghazi, Libya. The Pentagon’s budget woes aren’t that simple. There’s no shortage of waste in the daily operations of the Pentagon. Inefficient, culture-bound business practices, excessive layers of management, redundant capabilities between the military services and the defense bureaucracy—all contribute to excessive waste. There is nothing new in this observation. Thus, when the Washington Postbroke the story about a study supposedly identifying “evidence of $125 billion in bureaucratic waste,” the figure immediately gained credence. The suggestion that a duplicitous Pentagon had “buried” the embarrassing report made the story all the more sensational, the number all the more believable. And that’s unfortunate, because the “buried” study, although begun with the best of intentions, resulted in a deeply flawed analysis. The Defense Department’s decision to disregard it was absolutely correct. As the head of the Army’s business transformation office for three years, including the period in which this study was conducted, I strongly supported the initiative. It started with the worthy goal of identifying how many people and how much money the Department of Defense was devoting to what the private sector calls “back-office functions”: human resources, finance, logistics and real property management. During the campaign, President–elect Trump laid out his vision for military forces: a regular Army of 540,000 soldiers, a Navy of 350 ships, an Air Force of 1,200 fighter attack aircraft, a Marine Corps of 36 active-duty infantry battalions, plus increased missile defense and cyber capabilities. (For additional detail on the president-elect’s proposal, see my analysis here. For a discussion of the status and issues regarding U.S. military forces, see my monograph U.S. Military Forces in the FY 2017 Budget). There is broad agreement in the national security community that additional forces are needed to meet the demand of on-going conflicts, crisis response, and wartime surge. The new administration should therefore begin some force expansion immediately. However, it should implement the force expansion in two phases to ensure that it is fully executable and consistent with the administration’s national security and fiscal strategies. All the military services have real shortfalls compared with what they are being asked to do. However, each of the services is in a different position. In 2001, the total Army (regulars, Guard, and reserve) had 1,039,000 soldiers; the Obama administration’s “postwar” target is 980,000. So the Army would be 59,000 soldiers smaller coming out of the wars in Iraq and Afghanistan than going into them. However, it is not clear that the world will put fewer demands on the Army. The opportunity is ripe for a “less is more” mandate with a business-minded President-elect Trump and bureaucratic-averse Defense Secretary nominee who can reduce or eliminate burdensome administrative and training requirements that have been levied upon the services, units, and service members. Viewed individually, most of these types of requirements (e.g. Anti-Terrorism/Force Protection, Human Trafficking Prevention, and everyone’s favorite—Cyber Awareness) are relatively innocuous and have merit. However, placed in the context of all of the other routine requirements—often uncoordinated, duplicative, and from multiple different departments and entities—there are simply not enough hours in the day or months in the year to meaningfully accomplish all of them. There may be more attention and concern related to the literal bandwidth of our IT systems than the figurative bandwidth of our operators and commanders. As others have argued, this can force lower level military leaders into an ethically precarious position while also taking time away from activities that are higher priorities. Beyond the ethical dilemmas, some of these requirements linger solely due to bureaucratic inertia and are not linked to a demonstrated important outcome. To put it in economics terms, marginal return is now negative: fiscal, physical, and cognitive resources need to be freed up to ensure our warfighters are putting effort towards what is most important—increasing combat readiness. In 2010, during the last Nuclear Posture Review, the Obama administration announced that “for the first time,” it had put nuclear terrorism and the prospect of further proliferation “at the top” of the U.S. nuclear policy agenda. The administration furthermore emphasized the importance of “reducing the role of U.S. nuclear weapons in U.S. national security strategy.” In so doing, it may have also communicated a relative de-emphasis on the importance of nuclear deterrence. The 2010 assessment was based on certain benign assumptions about the strategic environment, and in particular the U.S. relationship with Russia. Since then, however, the situation has worsened. After Russia’s incursions into Crimea and Eastern Ukraine, violation of the Intermediate Nuclear Forces (INF) Treaty, and apparent Chinese nuclear buildup, the assumption of more benign relations is far more questionable. Indeed, the specter of great power competition and potentially conflict has again returned to the forefront of national security discourse. The Obama administration’s policy of “strategic patience” with North Korea has also failed, and hopes are now more dim for rolling back their nuclear and long-range missile programs. North Korea is developing long-range ballistic missiles and testing nuclear weapons at an unprecedented pace, and doubts remain about the long-term nuclear status of Iran. On the new data.mil, the Defense Digital Service wants to tell stories around DOD databases rather than just throwing them online. The Defense Department isn’t known for being the most open agency in federal government, but its Digital Service team is seeking to change that through a new website it officially launched Wednesday, data.mil. The DOD may have had an open data program but it hadn’t gotten a lot of attention, said data.mil site creator Mary Lazzeri to FedScoop. Defense Digital Service Director Chris Lynch says the goal with data.mil is to showcase a potential open data strategy to the department while collaborating with startups in the field to create interesting stories with the data instead of just posting it online. There is deep discomfort with the idea of a weapons system that surrenders life-and-death decisions to machines. The International Committee of the Red Cross (ICRC), an independent humanitarian organisation set up in 1863, has been playing an active part in discussions around the subject of Autonomous Weapons Systems (AWS). It argues that such debates should focus on determining the type and degree of human control required to ensure that in the use of AWS, there is ethical acceptability and compliance with International Humanitarian Law (IHL). Policymakers must consider variables like predictability, control of escalation, command responsibility, and legal accountability. Technological evolution will only continue to accelerate, impacting the way war is waged, and the imperatives are clear: The international community should make sure that AWS do not endanger more civilian lives. Stakeholders in Asia need to weigh in on this debate, and raise the questions explored in this paper. In today’s interconnected world, marked by violence of all sorts, what would it take for you to feel comfortable standing in front of an autonomous weapons system (or AWS)? And how would you go about negotiating with one? Former National Security Adviser Tom Donilon and retired IBM CEO Sam Palmisano, leaders of the national cybersecurity commission, discuss Russia’s role in the presidential election and the path to a safer digital future. Tom, as national security adviser you dealt with Putin. You have the president calling for an investigation. What’s going on?Donilon: First of all, the investigations are fully appropriate at this point. Last spring and summer you had private-sector organizations saying that entities that had a long association with the Russian intelligence services were responsible for hacking into the Democratic National Committee. Then you had an extraordinary thing happen in October: The director of national intelligence, General Jim Clapper, announced that the Russian Federation, directed from the government itself, was involved in hacking related to the election. You had Mike Rogers, head of NSA, say that you had a country—and it was clearly Russia—that had tried to interfere in the election to try to get specific effects. This is information warfare. It’s part of a broader kind of confrontation that we’re having with Putin’s Russia. Do the motives of the Russians matter more here? Or is it their ability to hack into important places?Donilon: We’re not debating that it was necessary to the outcome of the election here. We’ve had an election, we’re going to go forward. But it is important, as Sam said, for the country to know what the vulnerabilities were here from a technical perspective. And it’s important from a strategic perspective to know whether or not the Russian Federation, at Vladimir Putin’s direction or the direction of his senior people, tried to interfere in the election. In the past five years, the telecom business has entered a period of slow decline, with revenue growth down from 4.5 percent to 4 percent, EBITDA margins down from 25 percent to 17 percent, and cash-flow margins down from 15.6 percent to 8 percent.2Competitive boundaries are shifting as core voice and messaging businesses continue to shrink, partly under regulatory pressures, but also because social media is opening up new communications channels. Among US telecom companies, for instance, landline and mobile voice now account for less than a third of total access, down from 55 percent in 2010, while data revenue has risen from 25 percent of total revenues in 2010 to 65 percent today. But digitization is not just a threat; it also offers telecom companies an opportunity to rebuild their market positions, reimagine their business systems, and create innovative offerings for customers. Not surprisingly, most executives consider digitization to be one of their top priorities,3but few companies are close to capturing its full potential. We calculate that digitization could enable telecom operators to improve their profits by as much as 35 percent, yet the average improvement achieved is just 9 percent.